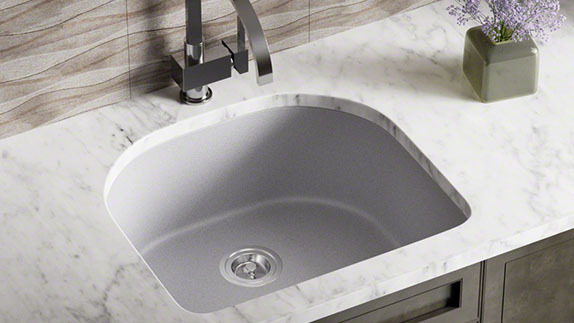 The term "quartz sink" generally refers to a basin constructed from some type of dense stone and some kind of acrylic polymer formulation. 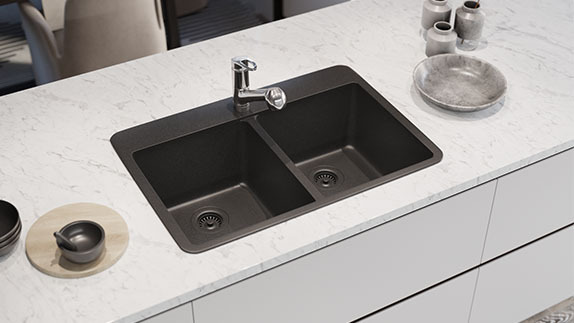 In the case of the TruGranite brand of quartz kitchen sink, offered by MR Direct; quartz stone and a tinted acrylic resin are blended to produce a resilient and attractive composite sink. Quartz is a natural stone created by centuries of pressure and heat upon quartz crystals mixed with sandstone. It is an extremely solid rock which is crushed and mixed with a specially formulated acrylic emulsion in an 80% to 20% ratio. The non-porous finish creates a surface which kills up to 98% of all types of bacteria, yeast, mold spores, algae, and mildew. 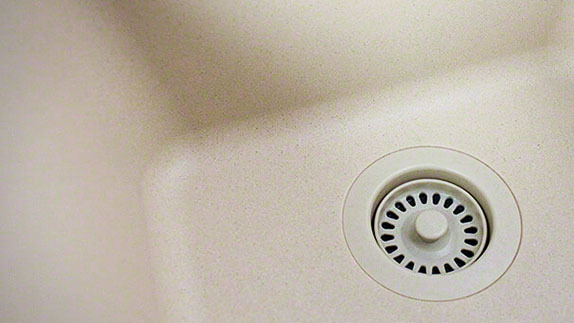 This is leaves no place for bacteria to thrive in the sink. 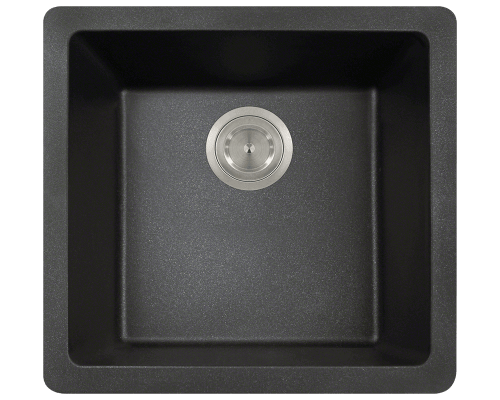 The idea of developing a quartz composite kitchen sink arose sometime in the 1980s as a result of an attempt to duplicate the positive attributes of natural granite countertops; but without their negative traits. Granite is obviously stunning, leading to its popularity; but it is also porous, has subtle crevices, and can chip. 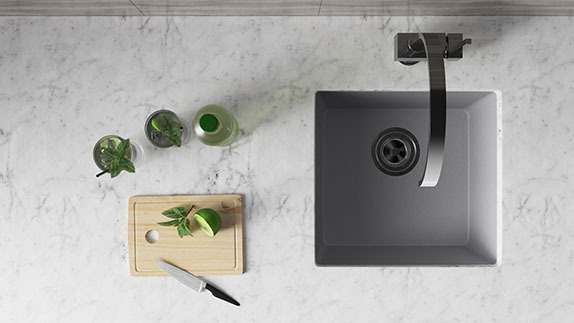 By developing a formula of crushed stone and resins, the new quartz composite kitchen sinks are consistent in appearance and resistant to heat, scratches, cracks, chips, and stains. 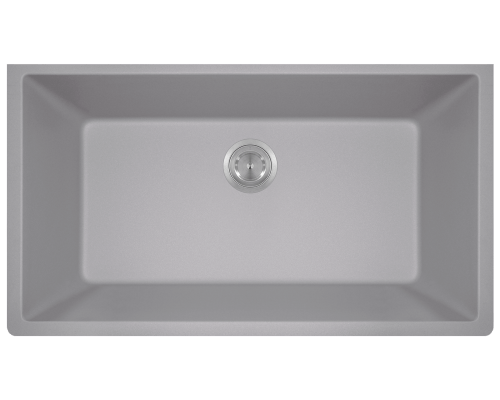 A choice of quartz drop-in sinks or quartz undermount sinks are available through MR Direct. 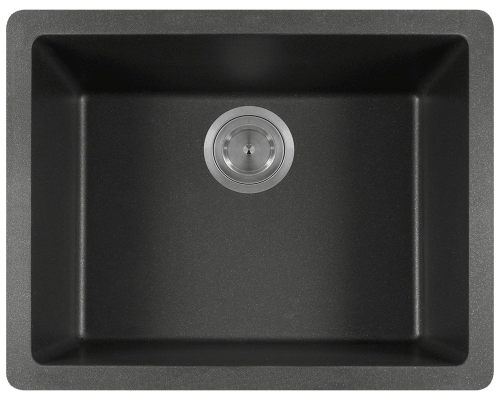 For the ultimate in contemporary flair, the undermount quartz composite sinks can be installed as a positive, negative, or full reveal. 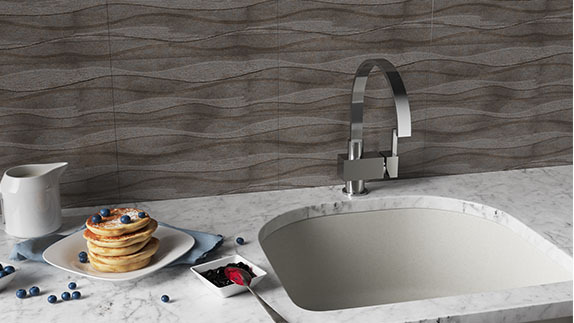 The drop-in quartz composite kitchen sinks are the tried-and-true styles preferred for generations. They have a smooth, flat perimeter and pre-scored holes along the back ledge for the faucet and accessories. TruGranite sinks are available in a choice of six colors: beige, black, white, silver, slate, and mocha; allowing consumers to choose the perfect tone to complement their kitchen décor. 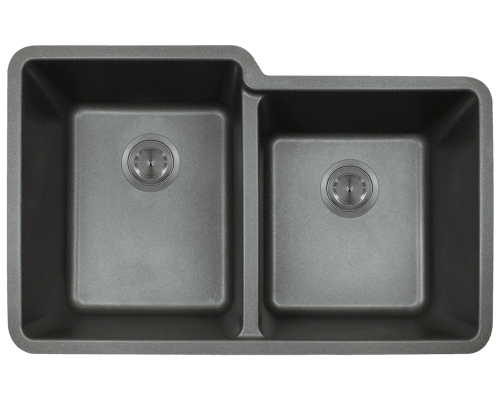 These quartz composite sinks are simple to maintain; needing little more than an occasional wash down with a mild soap and water. As an extra bonus, the acrylic construction makes these synthetic basins very quiet to use.